Science or Snake Oil: will horseradish and garlic really ease a cold? : Some of us may have heard that horseradish and garlic supplements help ease cold and flu. Blooms High Strength Horseradish and Garlic Complex claims it has. Others, such as those promoted by Swisse and Blackmores, claim to be “traditionally used in Western Herbal Medicine to provide symptomatic relief of sinusitis, hay fever and upper respiratory tract infections”. And the Swisse and Blackmores products (and many others) add additional ingredients, commonly vitamin C, which is claimed to be beneficial for “immune health”. 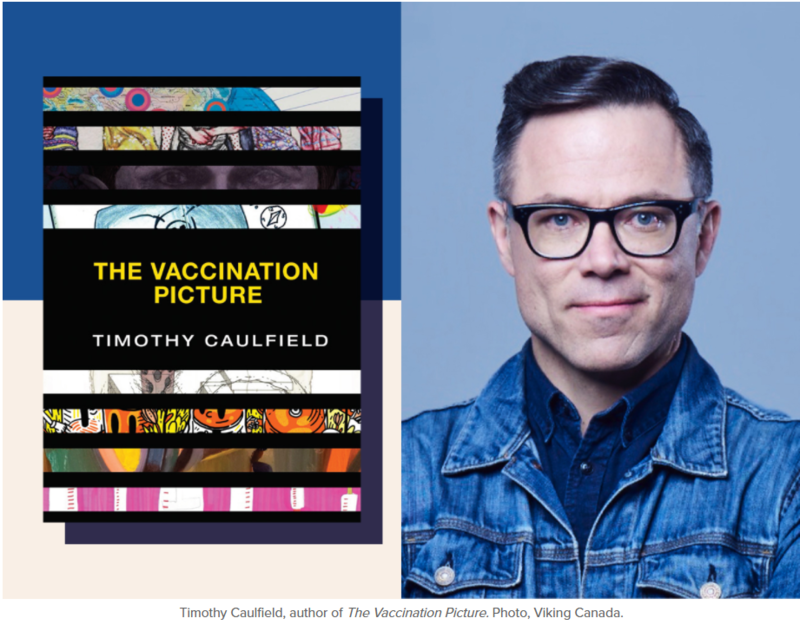 Myth-Buster Timothy Caulfield On What To Say To Someone Who’s Hesitant To Vaccinate Their Kid: The author of Is Gwyneth Paltrow Wrong About Everything? says more and more Canadians are hesitant about vaccination, and it’s hard to convince them otherwise. But he has a few ideas. China Power and Influence! Part 2. TCM and the role of the Australian (prime) ministers in this tragedy: Unfortunately, the fight against the acceptance of non-evidence based Traditional Chinese Medicine (TCM) centres not only on Western Sydney University and their National Institute of Complementary Medicine, it has also spread to the corridors of Parliament. Five Prime Ministers have either allowed or actively encouraged the adoption of TCM practices in Australia, most notably Malcolm Turnbull who has used a TCM treatment to lose weight. Chinese donors are pouring millions of dollars into Australia to promote TCM and apparently politicians can only see that it as good for the economy and go along with it. Nobody seems to be concerned that TCM has no evidence to back its claims other than its esteemed tradition of use. And if we swallow that line of logic, perhaps we should go back to barber-surgeons and blood-letting as the catch-all treatment for disease. After all, it was the standard of care for hundreds and hundreds of years, why change now? These days, it seems old is the new. No, you shouldn’t eat your placenta, here’s why: Another concern is that placenta capsules may be contaminated with harmful bacteria. Earlier this year, an infant in the USA was diagnosed with the potentially fatal condition late-onset sepsis, caused by the bacteria group B Streptococcus agalactiae. Placenta capsules consumed by the infant’s mother tested positive for the bacteria, and were identified as a potential source of the infection. Although reports of infection due to contaminated placental capsules are rare, these cases highlight a potential risk which women should be made aware of. More commonly, only mild side effects are reported such as headache, or an unpleasant taste to the capsules. So given there is no evidence of benefit and some evidence of potential harms, health providers should counsel women in their care against consuming their placenta. At the very least, it’s essential all women considering placentophagy are provided with clear, evidence-based information so they can make an informed decision. Invention Story of Electrocardiography (ECG) by Willem Einthoven: Fast, safe, reliable and easy to perform, the ECG is one of the most common medical tests and is able to non-invasively examine the heart’s electrical activity. The original ECG machine in 1902, however, weighed nearly 300kg! What causes breast cancer in women? What we know, don’t know and suspect: Good consumption of vegetables, limiting alcohol, avoiding being substantially overweight, especially after menopause, and getting regular moderate exercise will lower risk. Looking at mammographic density and considering genetic tests, especially in women with a family history, may be valuable and should be discussed with the family doctor. Preventive medication or surgery can be used for those at high risk, usually in consultation with a breast cancer specialist. Integrative Oncology: The integration of mysticism and pseudoscience with oncology continues apace in NCI-designated comprehensive cancer centers: “I can’t help but wonder how one quantitatively evaluates “spiritual transformation” in rigorous clinical trials, …” but apparently it “directly impacts patients quality of life”. A whopping nine out of ten NCI-CCCs mention acupuncture credulously, and a full 73% offer it. 40% of NCI-CCCs actually offer reiki. “One interesting finding is that, while exercise information is provided in 97.8% of cancer websites, only 56% provide exercise/fitness services for their cancer patients. As much as it irks me that exercise and nutrition have been co-opted by integrative medicine and quacks like naturopaths, both can be science-based modalities for health promotion, particularly in cancer patients,…” You’d think that they would put fo foccus on the area that has good evidence, is easy to justify, and might actually help people. Again, it can’t be emphasized enough that, wherever you find naturopaths practicing, you will find homeopathy being practiced. Until the SIO can eliminate its blindspots over all the quackery that is included in “integrative medicine,” its claims of being scientifically rigorous are just so much self-delusion”.